The Kirklin Clinic was built to provide the University of Alabama – Birmingham Hospital with a single facility for all of the outpatient clinic services. 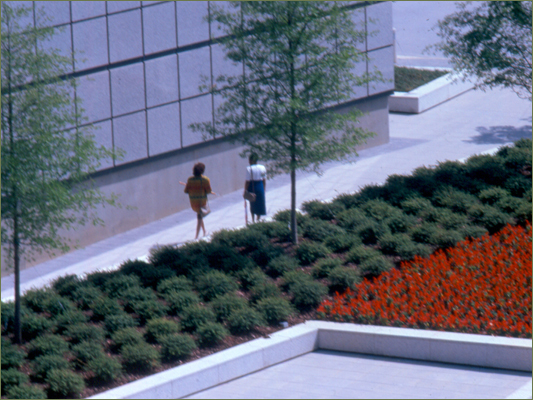 The building was designed by I. M. Pei and features a large courtyard entry space. NLA worked with the Architect on coordinating the design of the site with the architecture of the building. NLA was responsible for the site planning from the conceptual phase through the implementation of the work, producing all construction documents. NLA's work included design and detailing of the patient drop-off court, central fountain feature, special paving, steps and site wall details. In addition, NLA produced site layout, site grading and drainage, landscape and irrigation plans.